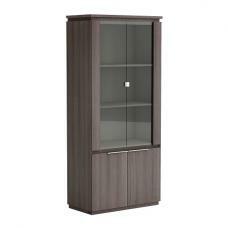 15mm thick chipboard, 18-mm-thick top. 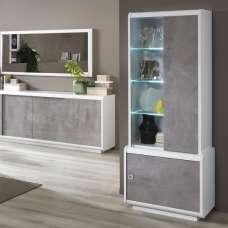 MDF edges. 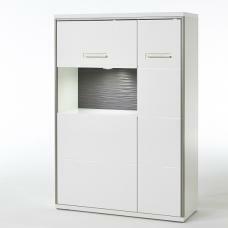 Door and drawer fronts in shiny white lacquered melamine. 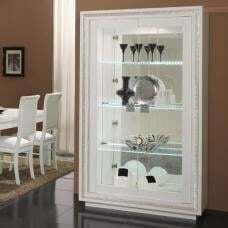 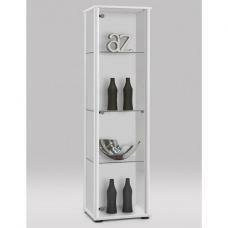 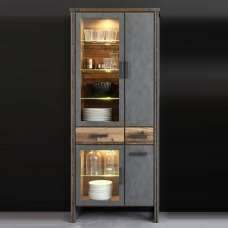 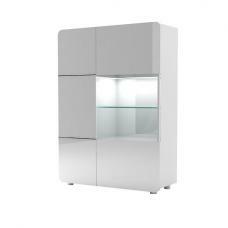 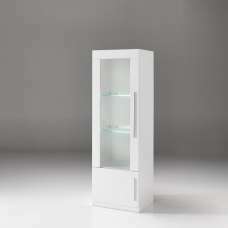 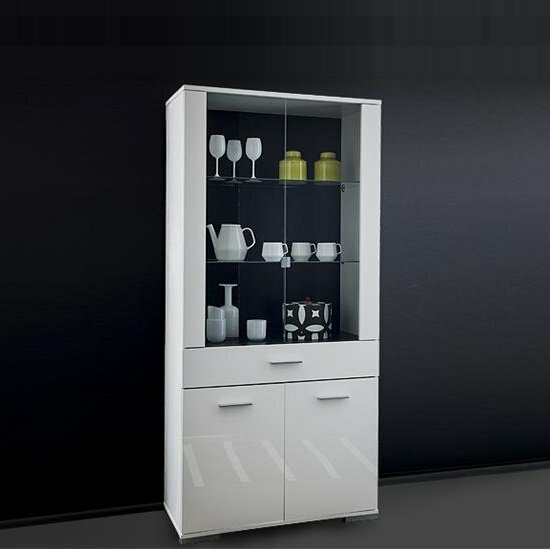 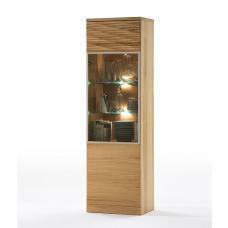 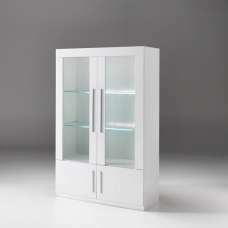 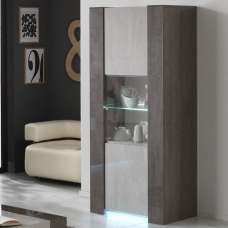 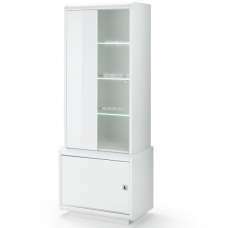 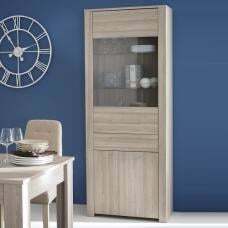 2 glass doors: 2 removable glass shelves (dimensions: 82x39 cm). 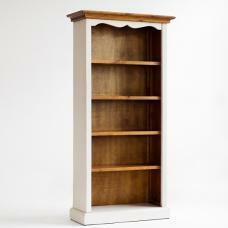 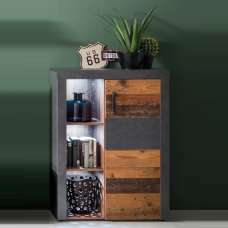 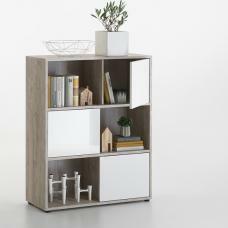 2 doors: 1 shelf, adjustable on 3 levels (dimensions: 82x40 cm). 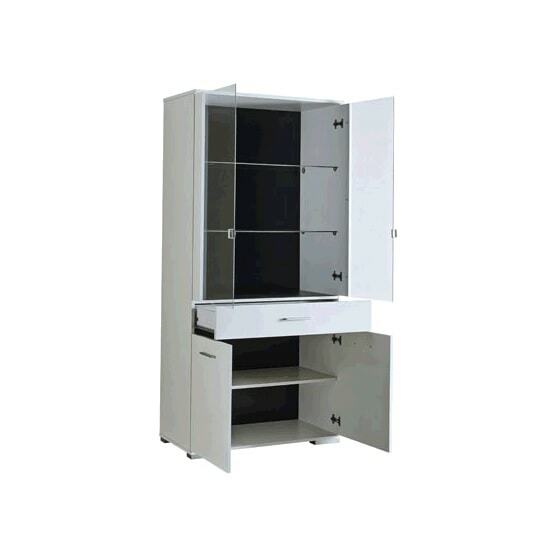 1 drawer mounted on runners with rollers (dimensions: 77x9x37 cm).